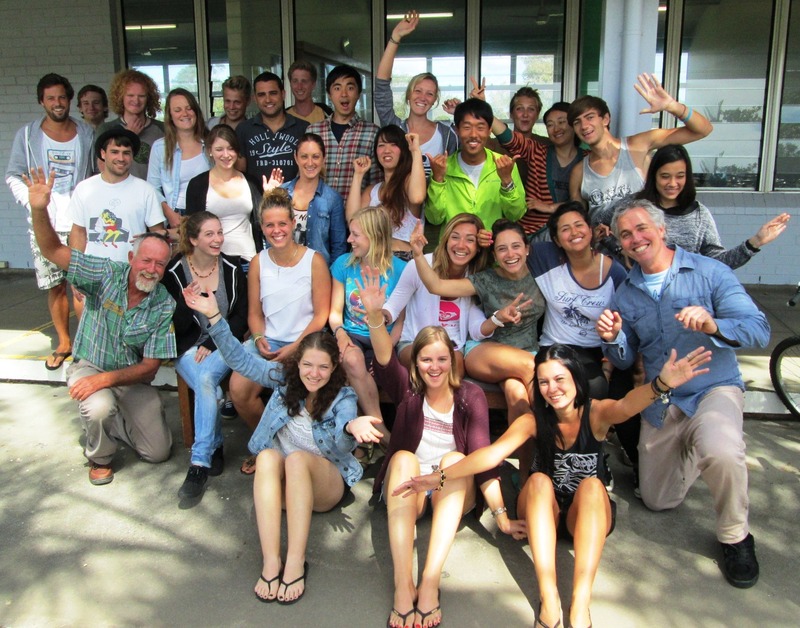 Every day between 2pm and 3pm Lexis Byron Bay runs a popular free activity programme for students. Above is the just-released May calendar. 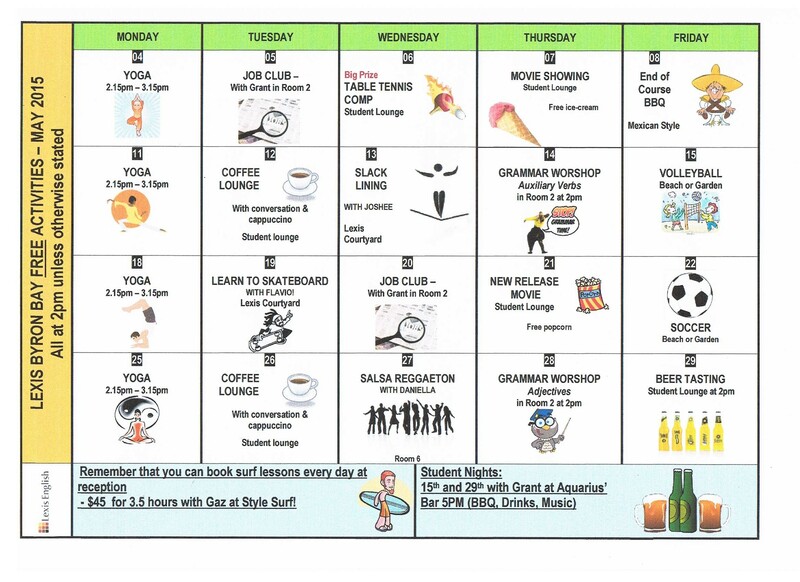 This months we have all the favourites such as Coffee Lounge, Yoga and Sports (garden or beach depending on the weather) as well as guest teachers Flavio (skateboarding) and Daniella (Salsa). We also welcome back Joshee and his slackline. Then, we’ve got some new indoor activities for as the weather gets cooler: two grammar workshops and a Friday Australian beer tasting session. Finally, don’t forget Student Night, every fortnight with free drinks, BBQ and music at Aquarius Backpackers. Weather for the weekend! Looks like we have rain the whole weekend, with possible lightning storms on Saturday. Good luck out there and try to stay dry unless you’re surfing! 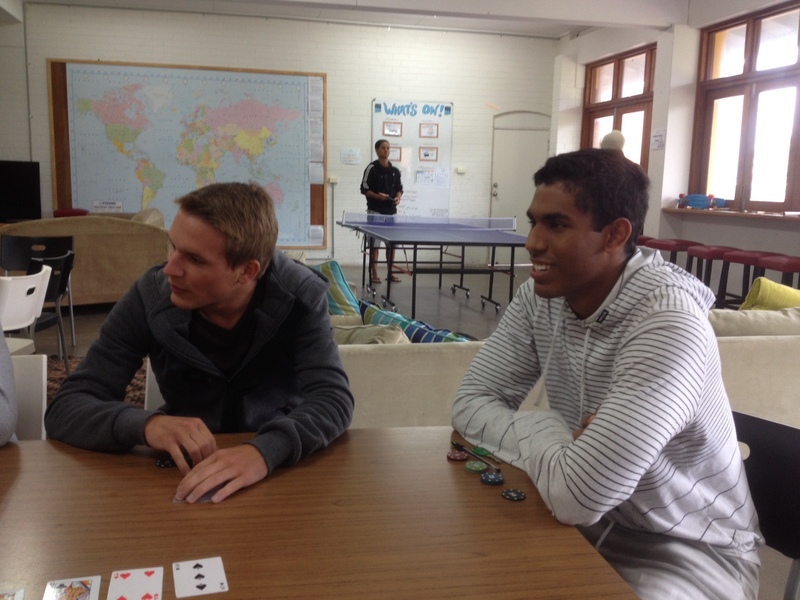 Today’s activity pitted students against each other in Texas Hold ‘ Em. 8 students battled it out until we had a victor. the final two were Jose and Martin and in the end Martin was able to pull it off and win the prize. Here in Byron Bay you get the opportunity to see some beautiful sights. But very rarely do we get to see them through the eyes of our students, let alone a very talented photographer. 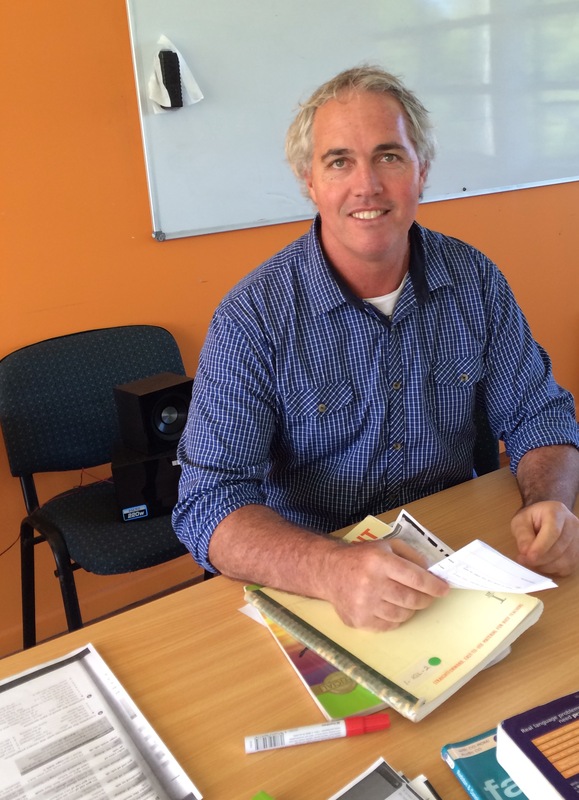 Lexis Byron Bay’s very own Sylvain Maury has been studying with us for the past ten weeks. Not only has been hard at his studies with perfect attendance but he has also been taking the past ten weeks to photograph Byron Bay. I got to talk with Sylvain and ask him a few questions. I Began Wildlife Photography 8 Years Ago. What is your favourite topic to shoot? My favourite topic in photography is wildlife and especially the birds. I also shoot landscape photography. How do you like photographing Byron Bay? Often I go to Cape Byron under the lighthouse to shoot landscape photography. I also like walking on the path of Arakwal Park. How do you like Lexis Byron Bay? Lexis is a good experience for me. Step by step I improve my English with my teacher. 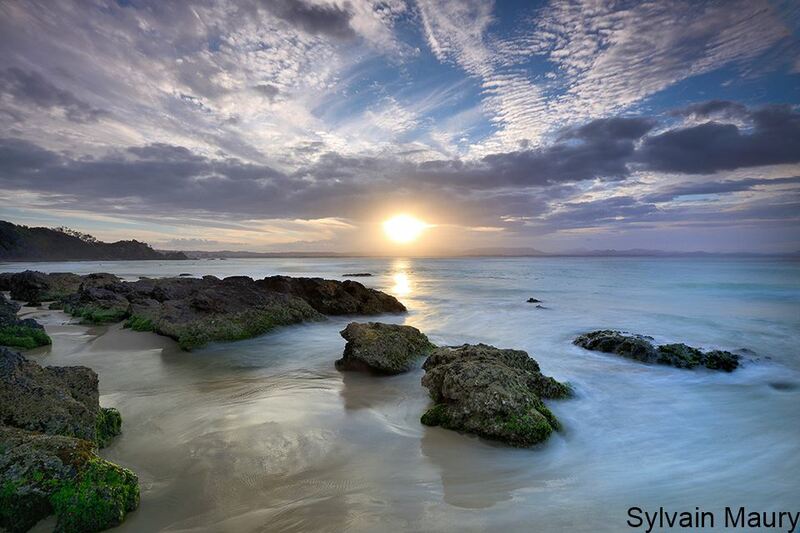 What is your favourite shot taken here in Byron Bay? I don’t really have one favourite shot here. The wildlife and the nature are amazing here. It is a pleasure for photography. Jobs around Byron This Week! That time of week again everyone! Here are your jobs up this week! Remember to keep trying and always be checking the paper and gumtree.com ! Also check in at job club every two weeks! 2 separate positions are available, at a full-time hire. 1. You are easy going and personable. You are customer-oriented and pleasant. 3. You have worked in the field for at least 5 years and⁄or are certified. 4. You are creative and technical and well-versed with today’s technologies and solutions. 5. You maintain calm under pressure, good in multitasking. 6. You have knowledge of networks, file and printer sharing, permissions, User Account control and policies. 8. Familiar with MAC environment, OSX, iOS .. This means you worked or managed a computer store, and⁄or performed tasks as an IT technician, whether mobile or in-house. You have consulted clients and troubleshooted situations as they are verbally given to you by your clients. Seeking new employees who want to work for a leading travel agency. 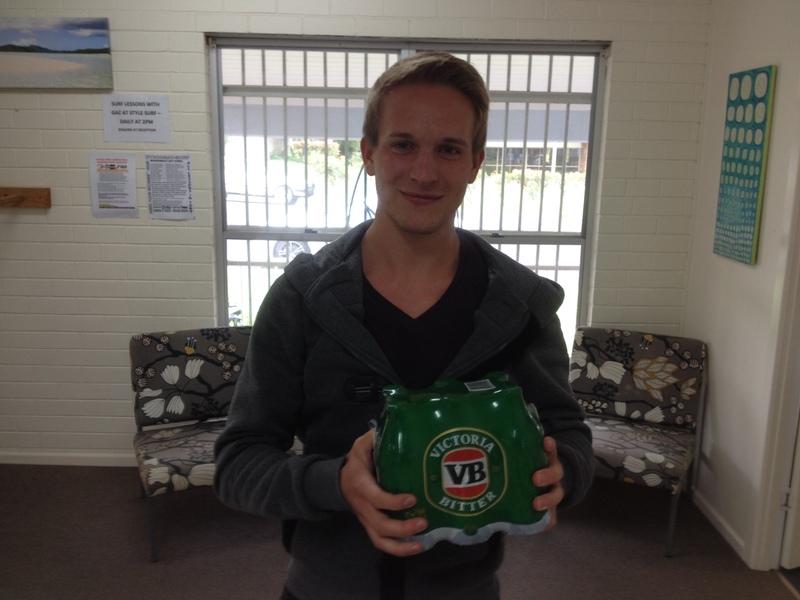 We specialise in Backpacker travel all around Australia. We are a company that is ever expanding and growing. We are now looking for experienced sales representatives that are looking to build a career in Australia with sponsorship and even PR as a goal. We want hungry, committed people that want to make money that we can progress through the company in to Management Positions and even further to Area Managers. We pride ourselves on finding new raw talent and nurturing them in to experienced managers who can bring the next new stars through. Currently there are positions in Byron Bay for full time work. Send an email to jack@wickedtravel.com.au attaching your CV and cover letter as to why you should be hired. Peterpans Adventure Travel, Australia’s largest Adventure Travel company is now recruiting well-travelled staff members to join our Call Centre sales team in Byron Bay. Great working environment, discounted travel, competitive hourly wage plus weekly commission! Please email your resume and cover letter to info@peterpans.com and check out our website peterpans.com.au to see what we are all about. Live-in au pair wanted: 15 hours work per week in exchange for rent and bills. We are a small family in the lovely hinterland village of Bangalow, 10 minutes from Byron Bay. We are looking for a live-in au pair to care for a gorgeous two year old boy and assist with light housekeeping such as making lunches, washing, tidying and occasional cooking. In exchange, we provide a sunny self-contained apartment with bathroom and kitchenette, fully furnished and inclusive of bills and wi-fi. Hours include weekday mornings, half day Friday and one weekend evening. The position would suit a student or traveller staying at least 6 months! Please email me with details about yourself and your experience. Table View cafe is looking for a chef to join our dynamic team. Please check out our website at http://www.tableview.com.au. Email CV to job.brunscafe@gmail.com or enquire in person. Thank you. 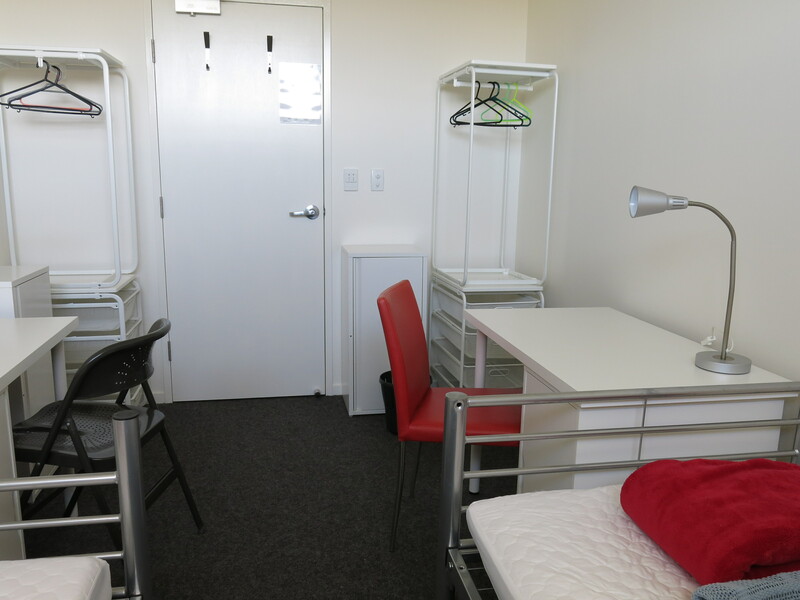 The onsite student accommodation at Lexis school has been opened since late 2014 and has proved extremely popular with Lexis students, who can choose from single, twin or four bed dormitory style rooms. 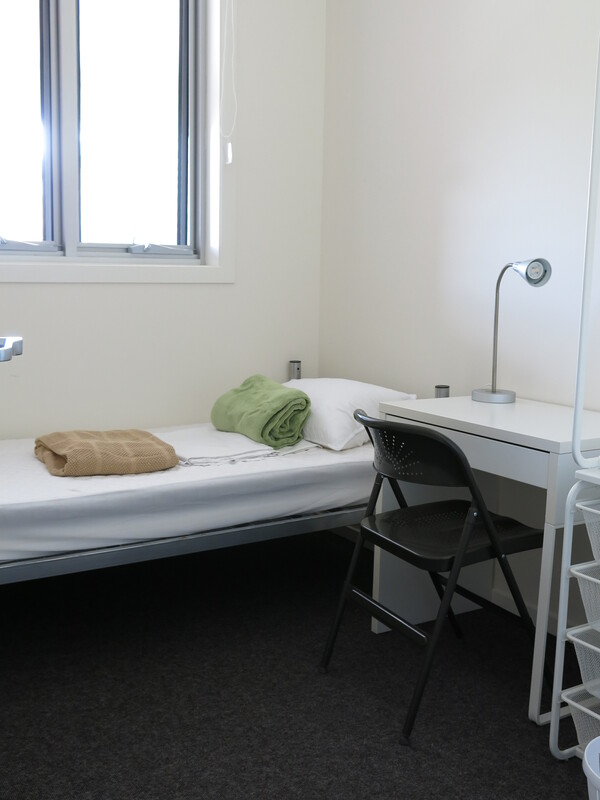 For those of you that haven’t seen inside the accommodation, below are some photos of these gorgeous, clean, bright rooms.